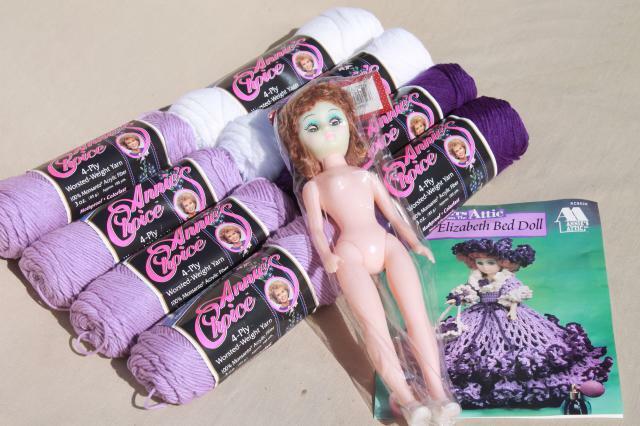 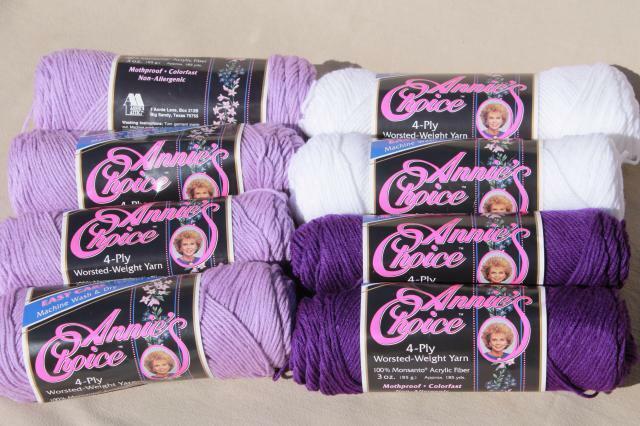 Annie's Attic crochet kit for Mary Elizabeth bed doll in purple shades (nice for a amethyst birthday!). 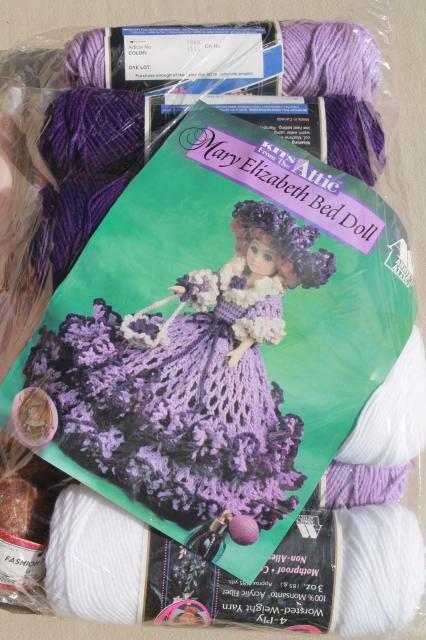 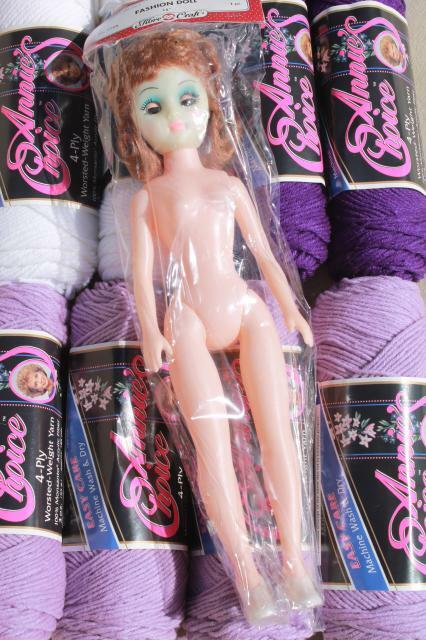 This includes pattern, acrylic yarn and a 14" tall doll. 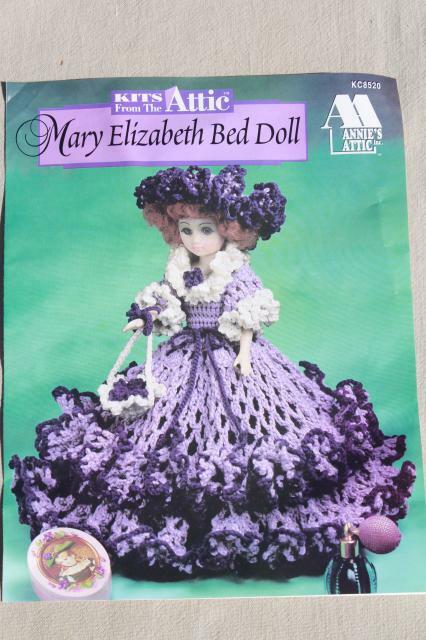 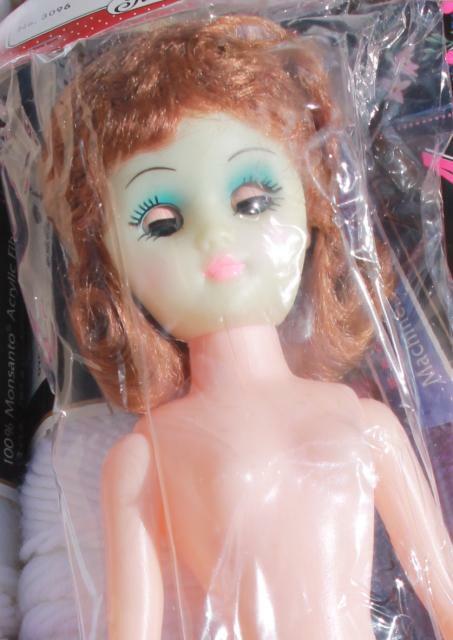 The doll is spookily gothic in a very pale coloring, or even faintly green... but everything else looks great, and we have to admit the doll is a little ugly even in the glamour shot for the pattern!